Low-density steels (LDS) represent a relatively new class of material that contains a large concentration of aluminum. In the present work, we studied the effect of copper addition to these steels. Microanalysis and electron diffraction study were used to demonstrate that on the contrary to the theoretical expectation, copper formed a variety of intermetallic, instead of metallic, precipitates on reaction with aluminum. The precipitation led to a significant age-hardening response that imparted a special characteristic to this material, which had never been reported previously. Manuscript submitted June 5, 2017. 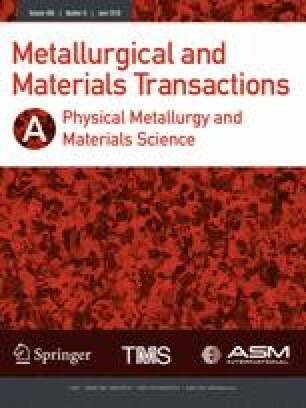 The authors thank the management at Tata Steel for the characterization facilities used in this work and the National Metallurgical Laboratory (NML, Jamshedpur) for processing the material in the laboratory. Discussions with Professor Sir H.K.D.H Bhadeshia, The University of Cambridge (Cambridge, United Kingdom), and Professor J.J. Jonas, McGill University (Montreal, PQ, Canada), also helped as a source of inspiration.